Jingilator had the most liked content! R.I.P Luigi. He never got to try Peach's spaghetti. QUIZ: What are the names of Yozora's companions in Verum Rex? Just as the title says. Just a warning, it’s a bit lengthy. And kinda spoilery. 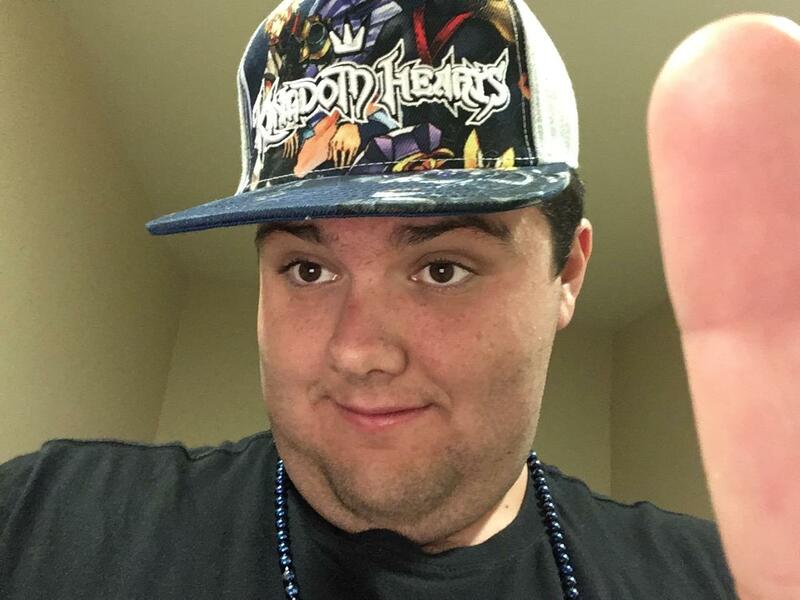 SDG and everyone else (minus Kairi) siege Kingdom Hearts (notScala) to go after Xehanort and release the 7 Princesses (6 of the new ones, just to be clear). Inside, they see Xehanort unleash his armored 12 Darknesses, and Xehanort himself don armor, wielding the dark-half of the χ-Blade, while Sora summons its light half. The whole area turns dark and red, into a volcano-like area. Here, you can choose two other party members while everyone else acts independent from the party as assistants. The available characters are: -Riku -Mickey -Roxas -Axel -Xion -Ventus -Terra -Aqua Each Seeker of Darkness has their own health gauge of 6 bars (save for Xehanort, who has a gauge of around 19 bars). All Seekers must be defeated individually before you can properly battle Xehanort, because he willalwayscast Curaga on himself around his last 6 bars of health. After the fight, Xehanort fuses with the center of Kingdom Hearts (a giant heart with two wings on either side of it) and becomes a half-angel being, engaging the other Guardians of Light as the area turns white and blue into a sea-like area. Whatever his health has been reduced to will carry over from the fight beforehand. After that battle, Xehanort returns to normal (but without his black trench…vest…thing? I can’t really tell…?). Sora tries to finish off Xehanort with his light χ-Blade, only to be intercepted by Xehanort, who merely knocks Sora back and teleports everyone (except SDG) somewhere else. Xehanort, now wielding the Complete χ-Blade, unleashes darkness from it and fills Sora’s mind with an illusion of him as king of Kingdom Hearts (an illusion where Xehanort is dead and Mickey, Donald and Goofy have apparently “moved on”, according to the false Kairi. ), and the game ends as a light flashes onwards, with Sora at his throne, with a C-Major Dearly Beloved playing in the background. Okay, not really. A notice then pops up stating that the player is apparently playing an illegal copy of the game and the game can only be further accessed when the game releases legally. When “OK” is selected, it should take you back to the main menu, right? Wrong (because this only would’ve worked as normal with the stolen copies from back in December 2018.)! Because then Goofy screams for Sora not to be fooled (through the player’s controller; white, blurred-out text appears on the “legal notice” saying “Don’t be fooled, Sora!” and sticks around for the time that Goofy says this), and Sora wakes up from the illusion as Donald and Goofy block the stream of darkness spouting from the χ-Blade. SDG then engage Xehanort as the area around them now has a blue sky and a red sky. One of Xehanort’s attacks in this phase involves him summon 12 false Kairis with the weapons of the fallen Seekers of Darkness on a giant chess board while se sits atop his own chess piece. After one last battle, Xehanort ceases to exist and fades away, proud that he was able to see what lied beyond the Keyblade War. After that, a giant flash of light appears. SDG then appear out of the water, and they see Riku and Kairi cheering for their return on the Destiny Islands. The ending then plays out like it already does (save for Sora disappearing), and ends with Xehanort and Eraqus starting a new chess game. Then cue the Epilogue, which plays as it already does (the only difference is that Luxigbar stays silent before his big reveal, and only Ira is present). What is your favorite Star Wars game? The old LEGO Star Wars games; the first one, the Original Trilogy, and the Complete Saga. I also (tried to, I think?) played Battlefront II when I was little. 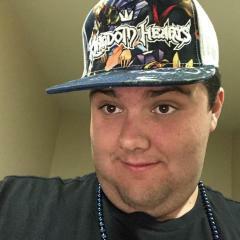 I am HMK, Kingdom Hearts Content Creator. Ask me anything! 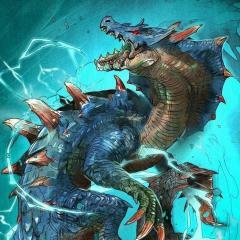 What are 5 guest characters you would've liked in Tekken 7? Are you going to be changing your PSN username? So…why is this poll a thing? 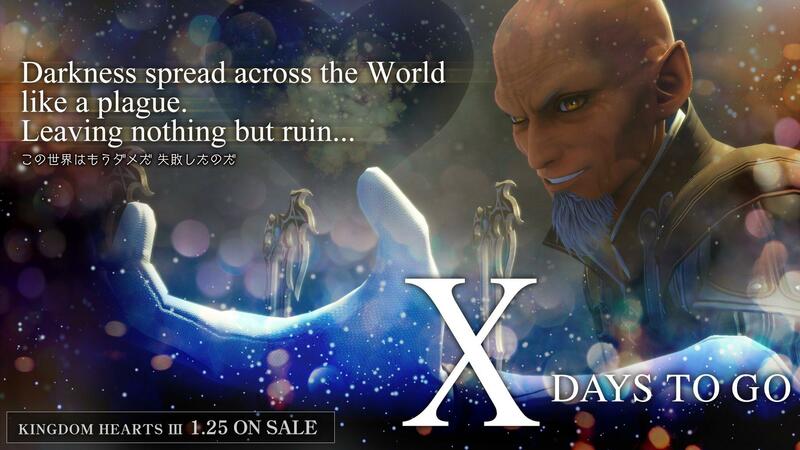 What was your reaction to Luxu's reveal? What do you plan to do during Spring Break? Uh, where’s the vacation option? Cause I’m goin’ to HAWAII BABY! Yeah. You read that right. This is real. I never even liked Dora the Explorer as a kid and I’m shocked that this is real; it hurts me. All I can say is…well, nothing. Random thought; what if Sakurai made an SSB64 remake instead of Ultimate? Well, I find them nice. Especially Tsubomi and Erika. What do you like to do on Spring Break? Go on a trip. I’m going to Hawaii this year. I dunno about you, but Donald and Goofy have been by Sora’s side since the very beginning. I adored the fact they were in the final battle (despite my disappointment that Riku and Kairi weren’t). Yea, I’m pretty good at the ones I can actually play (not including Karnival Kid or Musical Farmer Because truck them). I’d be lying if I said I didn’t fall in love with this; not just for the “effects”, but for the characters and how they behave.